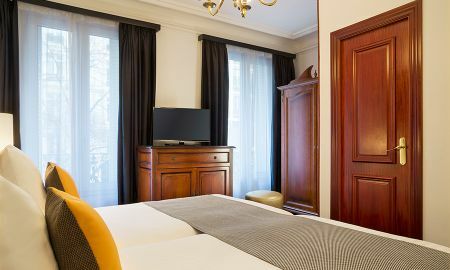 Located in an elegant residential area of Paris, close to the famous Champs Elysées and the Victor Hugo Square with its beautiful fountains, the luxurious Hotel Meliá Paris Champs-Elysées, renovated in 2014, combines the discreet charm of a traditional townhouse and luxurious details, to offer you a memorable stay in Paris. 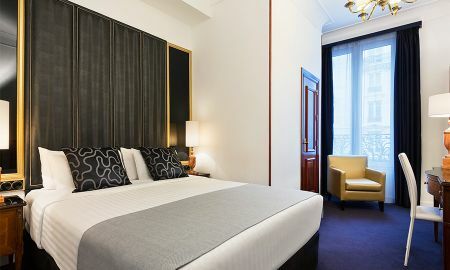 The spacious and tastefully decorated rooms are warmly decorated, with solid wood furniture, precious fabrics, and marble bathrooms, inspiring calm and serenity. 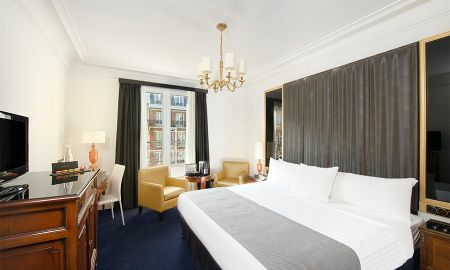 Hotel Meliá Paris Champs-Elysées also offers the most delicious drinks in its elegant bar where you can relax and meet up with friends, in addition to a daily copious buffet breakfast served in an inviting room, prepared out of the freshest products to start your day in the healthiest way. 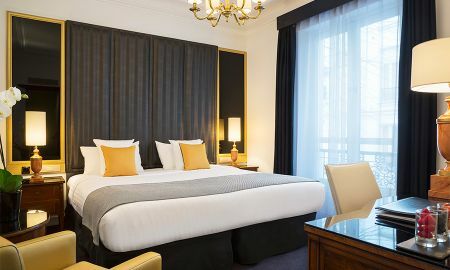 Hotel Meliá Paris Champs-Elysées is located on Victor Hugo Avenue, linking Place de l’Etoile to the Arc de Triomphe and Champs-Elysées, 2km from the Eiffel Tower and the Seine River, 5km from the Business Center CNIT, 20km from Orly International airport and 25km from Charles de Gaulle Airport. The hotel may pre-authorize the credit card given as guarantee.